Observation - Mammal 'tubes' - UK and Ireland. Description: Soil tube-like traces on mountain grassland, up to 1m long, left when deep snow melted? 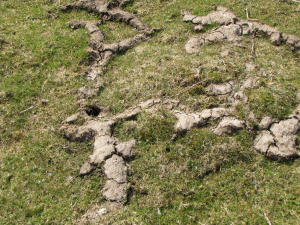 Soil tube-like traces on mountain grassland, up to 1m long, left when deep snow melted?